Still dark, the sky is starting to lighten, high in the eastern sky. The assault force is probably resting on packs, fully psyched and gunned up. The assault force has been quickly assembled on Kangaroo Pad at the 1st Australian Task Force, Nui Dat because an opportunity has been detected, a response formulated. The assault force is waiting, listening for the sound of the Helicopters coming to lift the team into battle. Stop Listening: They are not coming! Why: The answer is simple - the flash message ordering the air support got lost in the 'ether'! Handling formal messages by the Royal Australian Corps of Signals in the Vietnam War was a detailed process to ensure precedence, traceability, distribution, security and timely delivery. Precedence is a designation assigned to a message by the originator to indicate to communication personnel the relative order of handling and to the addressee the order in which the message is to be noted. The common designations used in the Vietnam War in descending order of precedence were: Flash, Immediate, Priority and Routine. For example: Flash messages are reserved for initial enemy contact or operational messages of extreme urgency. Brevity is mandatory. Flash messages are to be handled as fast as humanly possible, ahead of all other messages, with in station time not to exceed 5 minutes. Messages of lower precedence are interrupted on all circuits involved until the handling of the Flash message(s) is completed. It’s not good to lose a message. We almost never did. As messages go, if we were going to lose one, a routine message, like the one ordering a pallet load of boots to be delivered next month would be the way to go but not forgiven. Processes were in place, the error would have been detected, at shift change and the situation corrected. However we lost a flash message in the Vung Tau COMCEN, that was to task helicopters for the urgent mission in 1968. Two things went astray, well actually three if you count the message. The following was discovered by the investigators. 1. The message was received in the COMCEN typed and transmitted but the receipt to the next station was not checked! What should have happened, and did not, was that a phone call should have been made to the next station (Nui Dat) stating that “a flash message (insert number and date time group) has been sent, acknowledge receipt that confirmed onward transmission”. So, the message was sent but the safety trigger, the phone call was not made to the Nui Dat COMCEN. 2. The message got lost or as we signallers say went into the ‘ether’ and did not come out. What Happened to the Flash Message? The explanation is bound up in the type of telegraph cipher machines we were using in South Vietnam. It was the KW-7 (Orestes). This equipment is simplex equipment meaning, that for a single transmission two machines were used one to transmit one to receive, in one direction only. They can be wired up to suit many configurations as the situation demands. All cipher systems are built to protect messages that are encrypted using it. They also have to be capable of working in a noisy electronic environment, or in other words over a radio equipment that is not a perfectly noise free circuit (if there are any). If for instance an encoded character is received incorrectly (changed to another character) then the de-ciphering process has been derailed, sometimes it is recoverable sometimes it is not. If it is, then there is what is called an error extension process, a few characters of the word will be corrupted, but in the context of a message the word or words are able to be reconstructed by the operator. If not then the message has to be resent in its entirety. Those basic requirements are what caused the message to be lost. Well if you don’t count my involvement! There was one process that had to be error free or no decoding process would start. 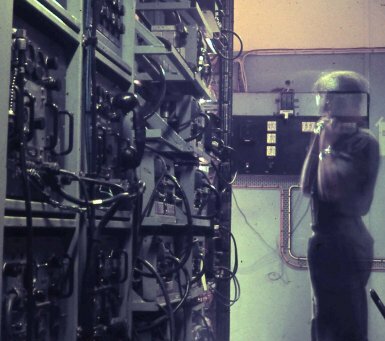 The sending operator had to press the send button; the machines had already been set to the code in use. The send button started a pre-amble transmission. First a slow speed series of marks and spaces (one’s and zero’s). This alerted the receiving machine to the fact that a “set up message” was probably following. The operator holds down the send button for as long as he thinks necessary and releases it. Then follows an authentication process and a message to set the decoding registers to the same place as the transmitting machine. This has to be error free. If that machine to machine message is not received word perfect. Then the decoding process will not start and there will not be any indication at the receiving station that there was one. And nobody is any the wiser. All noise signals are squelched out to save paper and protect the operator’s sanity. It gets quite noisy in a teleprinter paper punch environment. And so to my confession, forgive me sir for I have sinned. I caused the interruption. How do we know well the investigators (previously mentioned) can track down by our logbook entries. 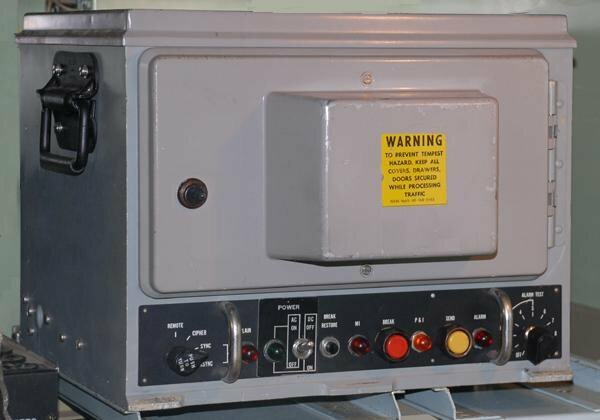 In South Vietnam, most of our communicating equipment were based on valves (electron tubes). Electron flow is controlled in a high voltage environment by a vacuum (tube) heated to a high temperature by incandescent heating elements. These failed routinely. If we were to wait for them to fail then messages would be lost or at least delayed. To reduce the impact of known failure point’s routine preventative maintenance is carried out. To this end valves are monitored, working voltages and currents are are logged onto recording sheets. I was carrying out one such activity when my clipboard bumped into the Transmitter of the Radio Set AN/TRC-24. This Radio Set was the bearer from HQ 1ALSG (Vung Tau) to HQ 1 ATF. The transmitter circuit breaker dropped out. Being in the vicinity I immediately reset it. I was just in time to see the carrier equipment lights on the multiplexing equipment’s (F1830 Group of TA-5006/U’s) turn red then green again. No worries I think, not long enough to warrant a log book entry. Checked with the keyboard operators, dead quiet not a bit of punched tape stirring. Checked with the telephone switchboard operators, all quiet, suggest that they give “Nui Dat” a call because I lost them for a few seconds. Routine alignment and level checks were not due for a few hours and it did not seem necessary to bring them forward. 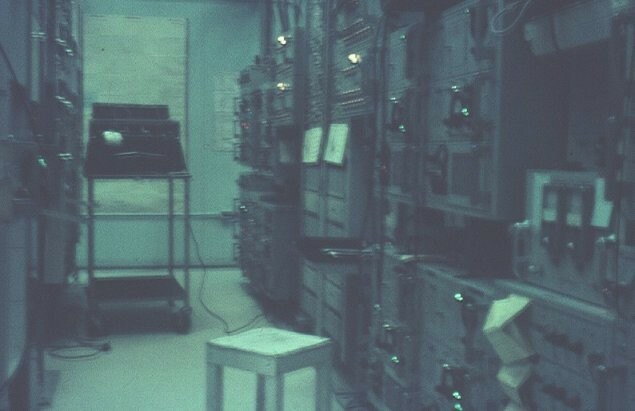 Photo (Left): Radio Set AN/TRC-24 as installed in the Comcen, Vung Tau. Photo (Right): Syscon and equipment in the Comcen, Vung Tau. It has been determined that in this period the preamble machine message and the following FLASH message were lost into the ‘ether’. Helicopter mission was cancelled because of the no show of the aircraft and my poor signalman technician arse was sore for a week!